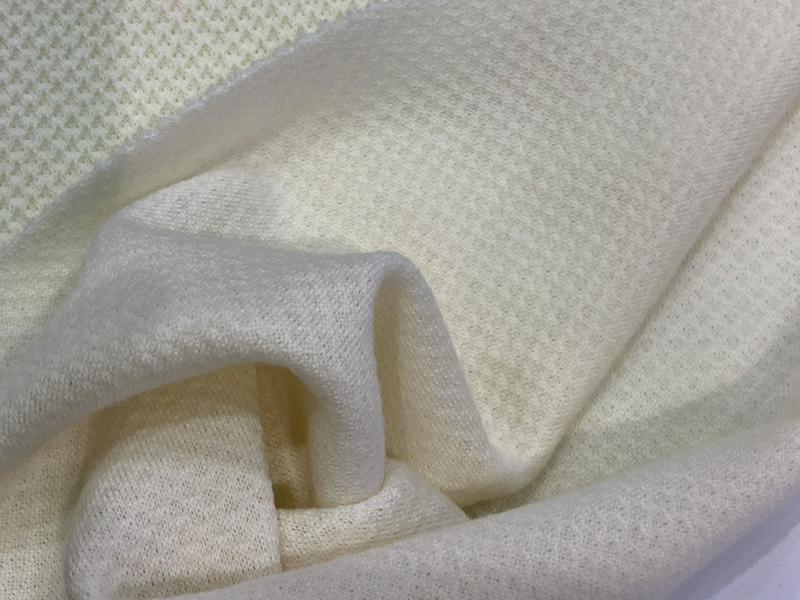 Fabrics made from Brrr cooling tech fibers and yarns reduce body temperature, actively wick moisture, and dry rapidly. Global Merino, closed-mesh double-knit 87% Merino/13% Nylon blend for lightweight warmth. Performance technologies from Polartec run the gamut from next-to-skin applications to insulated outerwear. 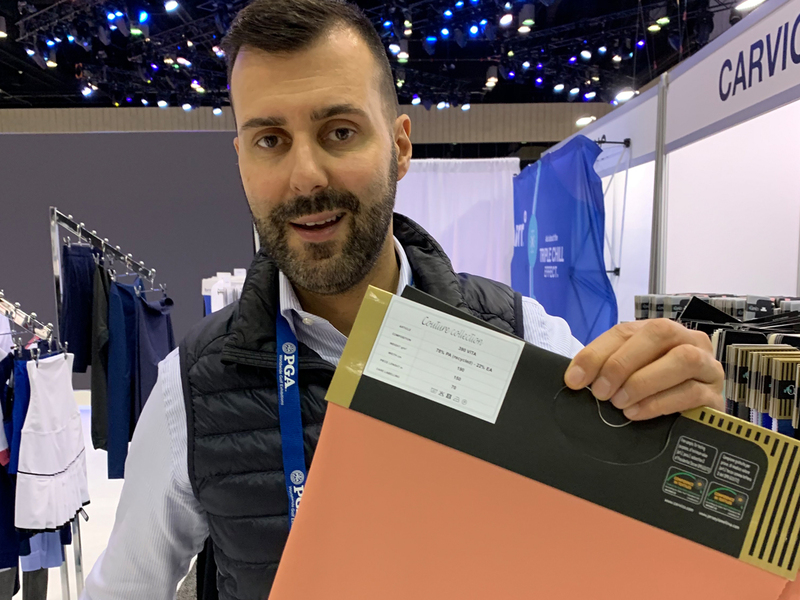 Stefano Pirovano, sales director Americas for Carvico, shows off a recycled eco-friendly fabric from the firm’s Couture Collection. 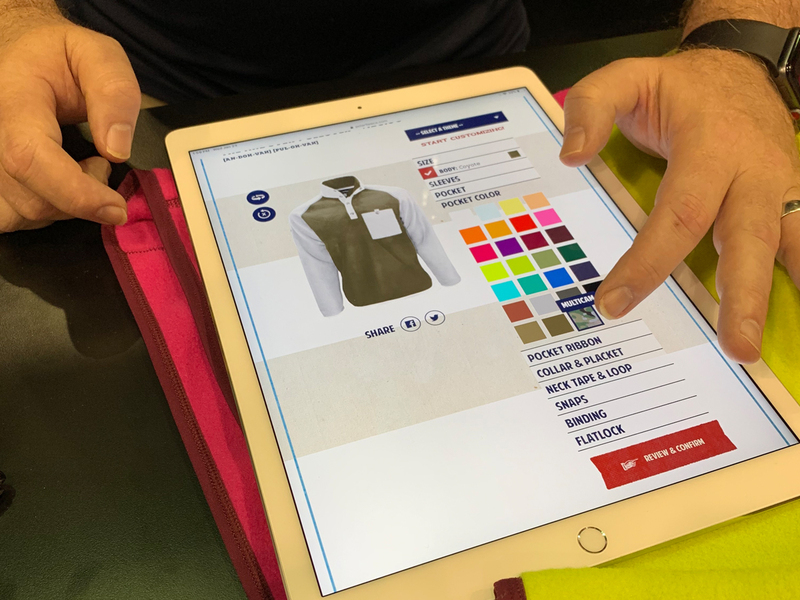 Polartec’s direct-to-consumer, customizable pullover program delivers product in 2-3 weeks; available via polarfleece.com. 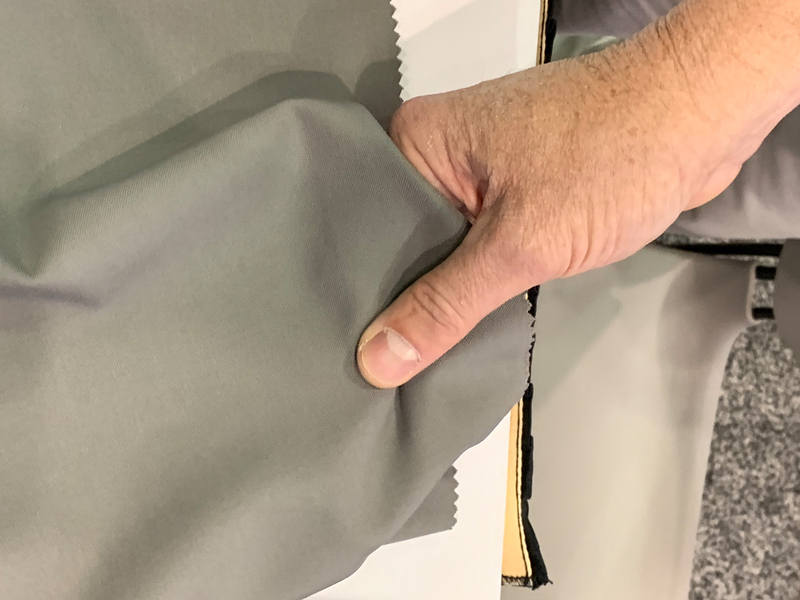 Global Merino’s 2X1 twill fabric is a 56% Merino/42% Nylon/2% Spandex blend. 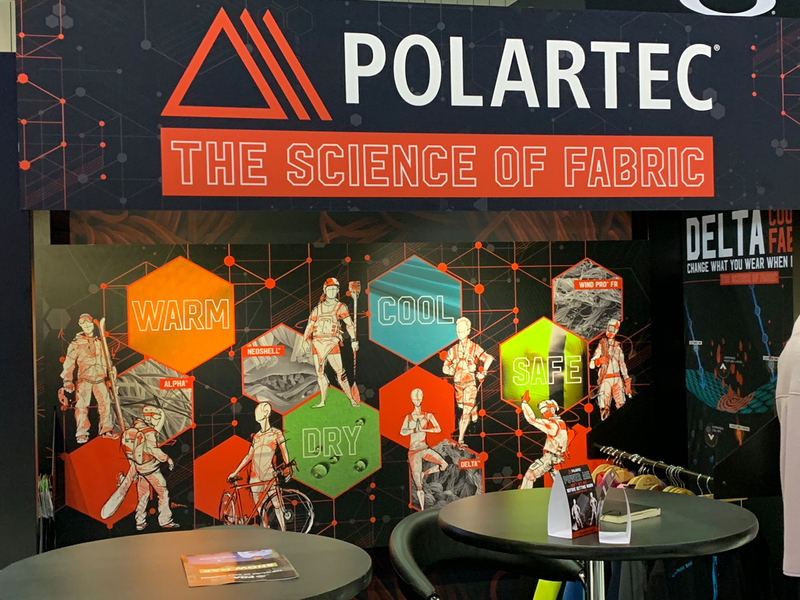 Attendees enjoyed an up-close look at the latest fabrications and face-to-face conversation with material suppliers at the Performance Textile Fair. 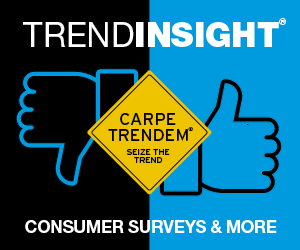 About 20 vendors – factories as well as solution providers – showcased their latest goods and services to product developers, designers and sourcing execs making the rounds at the PGA Merchandising Show in sunny Orlando, FL. 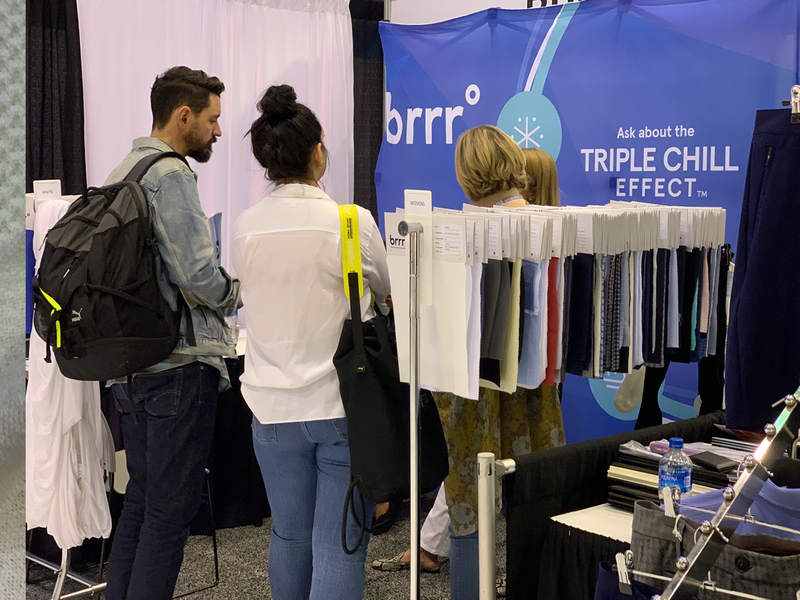 Exhibitors in the special textile section displayed a variety of sustainable fabrications, in synthetic, recycled and natural fiber versions suitable for a range of applications from performance wear to street looks.